I imported a few Cascade hop rhizomes, and tried growing them in this rather unsuitable climate. We have hot summer days 27°C - 35°C maximum, 15-20°C minimum, and frost (-5°C to 5°C minimum) in winter. I imagine this is not too much of a problem. The problem is that the summer days are short (about 14 hours of light) because we are at a low latitude (26° south). The tropic of Capricorn is only 200 km away. 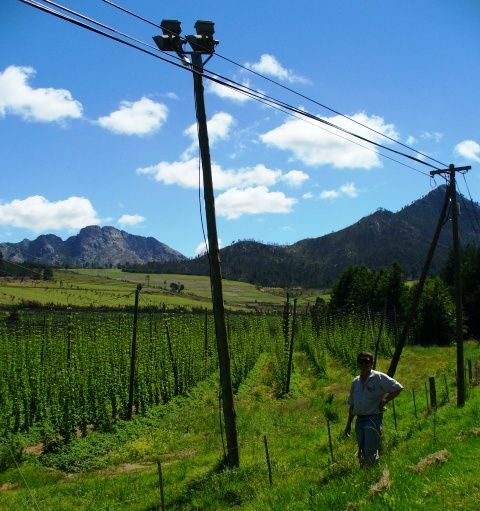 I understand that hops plants need a latitude of 35° - 55° to flower successfully in natural light. After decimating my plants after the first season (by trying incorrectly to propagate them), I had only one plant that survived. It was recovering for the whole of the 2005-2006 season, and eventually grew well in the 2006-2007 season. I built a 6m trellis for it, and it quickly reached that height. I put up a floodlight with two 20W energy-saver globes. When I got no flowers by the summer solstice in December, I put up a 150W mercury lamp, and THIS seemed to do the trick - I got flowers for the first time this (2007) season. I started in mid-August by setting the timer to switch on at 4am. I left the switch-off time at 7am - by that time it would always be light enough for the day-night switch to have switched off the lamp. I then adjusted the switch-on time 1 hour earlier every 14 days until mid-November or so. I now leave it on overnight (Dec-Jan). I visited George (the hop-growing area in SA) mid-December. They are also at a marginal latitude (34°S), and they have developed their own species that will bear flowers with less summer light. 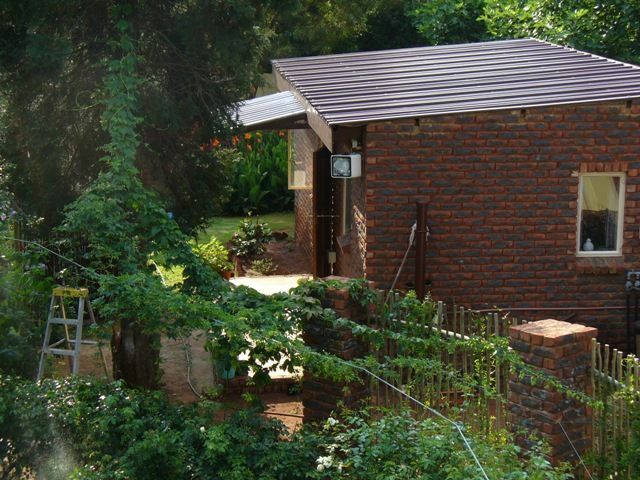 In fact, one of my brew buddies successfully grows a plant that that bears flowers here, in Pretoria, at 25°S. Unfortunately, this is purely a bittering hop. It doesn't produce pleasant beers when used for aroma and flavor. Some of these farmers also have lighting. Luckily one of the farm workers was there when I stopped to look and take pics. He reckoned they use 250W and 400W globes, about 5 per pole. But these poles are very far apart - I would estimate 300 meters apart. So it doesn't take much light to help a hop plant along. On the other hand, I used two 20W fluorescent globes last year from September to December, and I only had burrs by mid-December. This year I had burrs mid-November, and took my 1st harvest last week. I noted with interest that the commercial farmers' plants had not even developed lateral shoots by mid-Dec, so maybe I'm being picky. 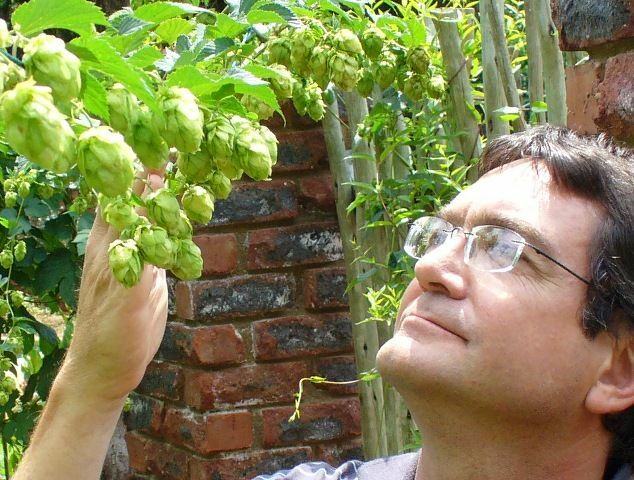 I've relegated last year's hops pages to a different link (2006/7 growing season news).